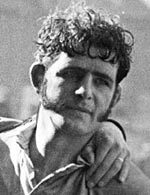 Responsible for some real fireworks on Guy Fawkes night in 1966 when he left his mark on great Wallaby scrum-half Ken Catchpole in Cardiff’s famous victory over Australia. An aggressive blind-side flanker who never took a backward step. Became a landlord. Also, as reminisced about in a phone call last night, my mum's cousin. John's mother was my gran's sister. Died last month I am sorry to say. One from the other side of the family to Dan Fish to tell the Bomber about.